...The aim of the excavations at Elephantine is to provide a coherent picture of the different parts of an ancient settlement and the interrelations between its temples, houses and cemeteries. Detailing the cultural development of the site, and using it as a source to extrapolate settlement patterns in other, less archaeologically accessible settlements is part of the objective of the mission. It is a rare moment when mud-brick settlement remains can be viewed by the public. This was formally made available as an open-air onsite museum in 1998. 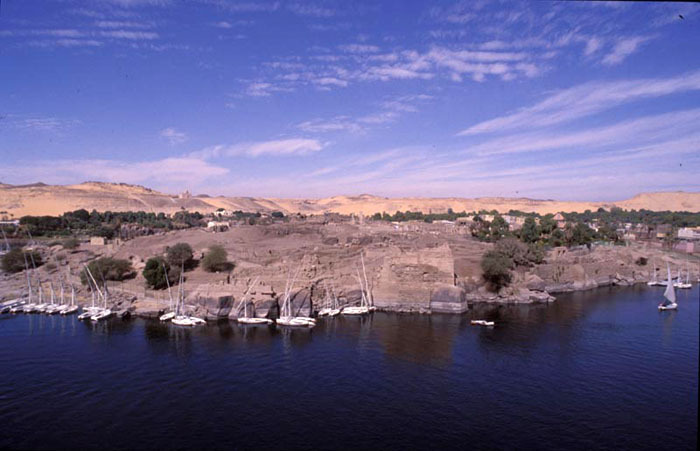 The research program at Elephantine intends to not only excavate large portions of the site and to study and restore it, but to try to understand Elephantine’s role in the larger economical, political, ethnical and social contexts, both on the regional and the supra-regional level. The work aims to follow, diachronically, the developments across the different époques and disciplines. For such an approach, the preservation of the site and its layers with its moderate extension offers ideal conditions.